The Moto G series has already been setting the bar quite high in terms of its cost-benefit ratio, and now Lenovo is pulling out all the stops. During MWC 2017, the Taiwanese company presented the Moto G5 and G5 Plus and set a fresh course for this mid-range series to become state-of-the-art. The Moto G5 Plus, with its superior design and camera, shows that it can succeed in differentiating itself (at the same price as its predecessor!). The latest news is that the Moto G5 Plus is now available for sale online. 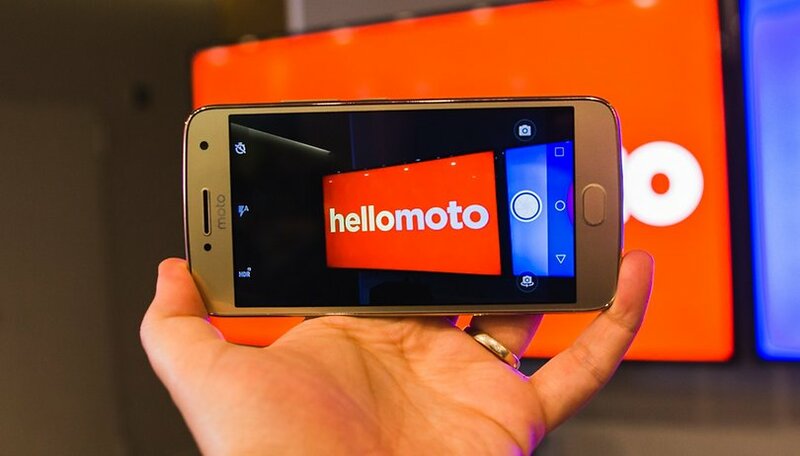 Lenovo unveiled the Moto G5 Plus alongside the Moto G5 at MWC 2017. The G5 Plus has been available in the US for pre-order since March 24 with 32 GB internal storage and 2 GB of RAM. Pre-order devices are expected to ship on April 11. The US version will not have NFC, which means no Android Pay. The color choices are fairly limited, and you'll be able to choose between either lunar gray or fine gold. It sells for $229 on the Moto website. The device we tested had 2 GB of RAM, and Digital TV, a unique feature for the Brazilian version which isn't in the US version. As of April 3, you can now buy the Moto G5 Plus either from Amazon or direct from Motorola. Priced at $229.99 for the 32 GB storage and 2 GB RAM configuration or $299.99 for the 64 GB and 4 GB model, Amazon is seeing off competition from Motorola with Amazon's own special “Prime Exclusive” edition. The 32 GB version is available for $185 and the 64 GB device is $230. There is a catch, as your device will display ads when the lock screen is on. As far as trade-offs go, when you consider it, this isn't a bad one. Lenovo has adapted the design of the Moto G5 Plus so that it can compete against the higher end of the mid-range market or even major flagship devices, but similarities to its predecessors are still quite obvious. Personally, I think it resembles the Vibe K5 or Vibe K6 Plus. The Moto G5 Plus is a slightly compact device with more rounded lines and an ergonomic grip. It feels comfortable in-hand. Its back is made of aluminum, with edges made of a material that combines metal and plastic. This material allows the antennas to get reception without Lenovo needing to add plastic lines to the sides. The device's Nano-Coating also ensures that the G5 Plus will be able to withstand a rain shower or two without any issues. On the back of the Moto G5 Plus, the Moto logo is embossed in the aluminum. The camera is located at the top with the dual-tone LED flash. The circular camera module protrudes from the back of the phone. The circular protrusion makes the G series' design more like that of the modular Z series. Just above the camera is a secondary microphone for noise cancellation, which can be used for video recordings. At the top we find the hybrid card slot. The slot can take one nano SIM card and one microSD card, or two nano SIM cards simultaneously. At the bottom, we have the headphone jack and the micro USB port, unfortunately, no USB 3.0 or Type-C here. There's nothing notable on the front of the phone, except for the presence of the physical home button. The button itself is nothing new, because the Moto G4 Plus also has one in its lower front. However, the new Lenovo button doesn't just work as a biometric sensor - we'll talk about that later. The top speaker is mono, located alongside the front camera and some sensors. Subjectively, the overall look of the Moto G5 Plus didn't please me very much, especially in the gold color that was sent to us to test. However, it is noticeable that Lenovo used quality materials on the device, giving it a more premium look and feel. Lenovo has reduced the size of the display. The new diagonal measures in at only 5.2-inches and thus is smaller than the Moto G4 Plus, by 0.3 inches. This makes the smartphone a bit easier to handle and should appeal to a new generation of buyers. But, in terms of sharpness, contrast and colors, there isn't a noticeable difference. The resolution is still in Full-HD, which is important for ensuring sharpness of display. The screen also has similar characteristics to the G4 Plus, for example: for more vivid colors, you need to use the "intensity" color mode in the system settings. The screen responds well to the touch and I had no problems with it during my review. There was no issue with ghost touch or burn-in, as reported by users of the Moto G4 Plus. Typical of an LCD display, it was a bit hard to read in the sun. The Moto G5 Plus brings with it a new physical button on the front, which functions as a biometric sensor, the home button and also responds to gestures. It works the same as Imprint on the Google Pixel, which is on the back of the device, and runs software commands based on touch patterns. This provides gesture-based navigation. Using the gestures is optional, and the settings are in the central Moto app. The options are still simple, such as sliding from right to left (to go back), and from left to right (fast application switching & multitasking). You can also use the touch sensor as a camera shutter button. The fingerprint recognition is very fast, and it worked for me even when my fingers were sweaty. During the time I spent with the Moto G5 Plus, I confess that I chose to use the virtual navigation buttons on the screen. At several points in time, I didn't find using gestures to navigate practical, maybe due to the position of the button. The Android interface itself invites us to touch the screen, displaying menus and "back" options in the upper corner of the screen. I believe that getting used to the button is a matter of habit, which will vary from user to user. However, if you're thinking of buying the phone for the new button, take it for a test drive first. The next generation of the Moto Z is expected to come with a similar button, so this type of interaction will get more common. In addition to fast fingerprint scanning, the button also recognizes navigational gestures without any delay. The Moto G5 Plus ships from the factory running Android 7.0 Nougat without many customizations in the software. You can see where Lenovo left its mark on the system, especially in the dock where the apps are on the home screen and in the app drawer. The app tray works the same as the Pixel Launcher, meaning it is accessible by sliding down. However, the app drawer is transparent and customized by Lenovo. Personally, I did not find it very attractive, but you can see for yourself below. There is a blur animation on the wallpaper when the home screens are switched. And, Google Now is accessible from the home screen, while Now On Tap can be triggered when the (virtual or physical) home button is pressed for a few seconds. Moto G5 Plus unfortunately does not support Google Assistant yet. The Moto app continues to be the control hub that guides the intelligent software features developed by Lenovo. In addition to the traditional "shake to activate the flashlight" feature, there's also an option to block apps and reduce screen brightness. Compared with the previous generation, the Moto G's processor went from a Snapdragon 617 to the Snapdragon 625. This is the same processor as in the Moto Z Play, which will give users more optimized performance. In practice, you can expect the Moto G5 Plus to yield the same performance as the Moto G4 Plus, mainly because they both have the same amount of RAM: 2GB. Today, the performance of G5 Plus is good with Android Nougat, but nothing guarantees that this performance will not deteriorate when new versions of Android arrive. More RAM is critical to guaranteeing good long-term performance. Us can use social networking flawlessly, as well as some heavier games like Asphalt 8, Dungeon Hunter 5 and Vainglory. Browsing the web on Chrome happens smoothly, without any kind of lag or crashing. Users can count on numerous Android Nougat features on the Moto G5 Plus, including the famous multi-window mode. In this mode, you can manipulate both windows at the same time and re-size them. Soon after I began my review, the Moto G5 Plus received an update that brought improvements to camera software, without mentioning the performance optimization. In addition, the Moto G5 Plus comes equipped with NFC. Do not expect superior audio quality here, as the Moto G5 Plus only has a mono speaker. For some years now, Motorola has not been paying attention to the audio quality of the G series. The audio quality of the speaker is average; it can achieve high notes and high volume. In games with soundtracks or bass effects, however, some distortions are noticeable certain moments. The call quality is great, even when using speakerphone. The Moto G5 Plus comes equipped with a 12 MP rear camera, dual-tone LED flash and Dual Autofocus Pixels technology, which promises to deliver better results in low light conditions and lock onto subjects faster. In fact, the lens of the device is able to better manage light input due to the f / 1.7 aperture sensor, which is a rarity in this price range. In this case, the smaller the number after f /, the better its sensitivity to light. It's not just theory: it is possible to get good results with the camera, although the colors get a little washed out in some situations. The focus is fast and photos taken at night don't end up with a lot of noise, which is due to the lens with better aperture. With respect to the software, we find the same version as the Moto G4 Plus. That means you can use the Professional Mode to adjust ISO, shutter speed and exposure manually. Regarding the camera results still, I have to say that at times it was impossible to adjust the focus and the exposure in the automatic mode. I couldn't get the software to focus on certain places, causing the exposure to go out of whack. I recommend using the HDR at almost all times, especially in high light environments. The HDR mode of the Moto G5 Plus works well. Videos can be recorded in HD (30 fps), Full HD (30 / 60 fps) and 4K (30 fps). It is worth mentioning that few models in the same price range film in the Ultra HD standard. The front camera has 5 MP, features Professional Mode and a beautfication mode. The Moto G5 Plus does not come with a front flash, but Lenovo has incorporated an effect in the software that adds a white panel on the display and increases the screen brightness to help in low light environments. It is a feature that helps little, but does not always bring good results, so I recommend its use only in extreme situations. The Moto G5 Plus' battery had good results in my daily usage test. The 3,000 mAh battery can last 18 hours with moderate use. I started my day with 100 percent capacity at 7:30 AM. Then, I listened to Spotify on 3G and I used Chrome, Gmail and Instagram heavily. By the end of my day, there was still 30 percent remaining. I didn't play any games for several days, or use 4G. In the benchmark test, with the screen set to maximum brightness, location and synchronization enabled, 4G, videos and games queued up, the battery lasted about 6 and a half hours. A user will hardly ever subject their phone to this kind of stress, so it's safe to say that the battery of the Moto G5 Plus will have enough battery life to last through a full day of moderate use. Quick Charge technology is always welcome. The device comes with a charger that is capable of charging it in full in less than an hour and a half. The new generation of the Moto G line is a departure from the past. The hardware and cost-benefit ratio are here to stay, but Lenovo is differentiating the Moto G5 Plus with better design and a better camera. The Moto G4 Plus wasn't exactly a masterpiece in terms of its design, and the G5 Plus is a significant improvement. Many smartphone users are looking for a nice, well-built camera that won't let them down, and this provides that. However, compromises were made in the sound quality and also in the meager 2 GB of RAM. Of course, these compromises don't make it a bad phone, but it begs the question: why not just give the device better specs now? Surely the cost of adding one extra gigabyte of RAM wouldn't bump the cost up so high as to make this a Moto Z Play competitor. It is quite possible Lenovo has left these aspects to be upgraded in the next generation. That being said, let's highlight some of the improvements and innovations Lenovo has brought to the device. The fingerprint scanner, which is also used for gesture-based system navigation, will seem like a novelty to some. As mentioned in the review, it takes some getting used to since the navigation buttons on-screen are so intuitive and habitually used by this point. The advantage of this button is that it gives us more screen space if we disable the virtual buttons on-screen. This essentially makes up for the 0.3 inches that Lenovo took away from the Moto G4 Plus' screen size for this device. The software bring us an almost pure Android experience, with some adjustments to the interface and some bloatware. You can see evidence of Lenovo's interference in the start screen, wallpaper animation and in the app tray. Finally, I have to say that if you're using the Moto G4 Plus now, there's really not enough of a difference there to make an upgrade worthwhile. The Moto G5 Plus makes a good alternative to the Galaxy J7 Prime, Zenfone 3 Max, Galaxy A5 and other smartphones in the same price range. What do you think of the Moto G5 Plus and its unusual home button? Are you looking forward to its release in the Spring? Let us know in the comments below. Can I connect an External Mic? Would be an attractive feature for Vloggers! I'm disappointed it doesn't have AC Wi-Fi. Who can tell me is the home key projecting? I was pretty much enjoying and appreciating my new 64gb Amazon version moto g5 plus until... I was unable ti open or or two apps important to me. I went thru a series of steps rebooting, factory resetting, stopping google services, clearing cashes, changing my micro sd card, and experienced a series of errors including stuck installing the apps after I had uninstalled them and tried reinstalling them, error 96 something trying to format micro sd card, not enough storage space on a newly reinstalled microsd card. Eventually I will be unable to download or uninstall one or another app. Seems rto be better, although still have problems, when microsd card is sued a external storage, but can't move anything to it. I have ordered a new 64gb microsd card, and will try on more time. If i can't use microsd as internal storage, can't download or install every app, or certain apps can't be opened, I will return phone. Omitting NFC from the US version of this phone was a poor decision. This is going to be super special phone. I expect this should not skimp any sensors, at least the compass and gyroscope ones. according to lenovo forums, only the single SIM version has compass/magnetometer, the dual SIM version doesn't have it. otoh, the single sim version doesn't have NFC, but the dual SIM version has it. I'm sure it will sell well.. but as you surmised it's specs are very similar to the Z play.. personally I'd go for the Z play..a little more expensive but the available and useful mods would more than make up for the extra cost. "A little more" expensive? It's almost twice the price. But if your priority is moto mods then 299 won't be enough, right? no that would be a (white) Moto X play with a free JBL soundboost for £301.95 probably sold out by now.. but there's always a great deal going on somewhere.. I agree the battery alone is worth the extra money! "there are already smartphones on the market that the G5 Plus will not be able to match either in terms of design or technology." I don't agree with this. In this price segment, there is hardly any phone that beats Moto G5 Plus. The lunar gray version is my favorite!